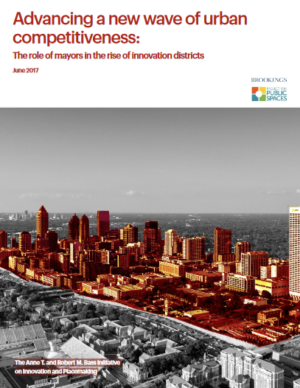 This handbook, entitled Advancing a new wave of urban competitiveness: The role of mayors in the rise of innovation districts, offers concrete strategies for mayor and their administration to facilitate the rise of innovation districts. It is the result of a collaborative work between the United States Conference of Mayors, the Brookings Institution, along with the Project for Public Spaces. Under the slogan “One more hour a day”, the city of Helsinki has initiated the development of a district, Kalasatama, that aims to manage time more efficiently. 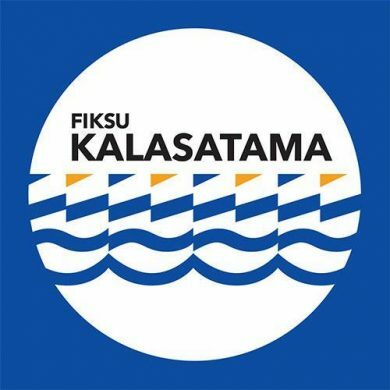 Considering time as one of city residents’ most precious resource, the vision of Smart Kalasatama, created together with local residents and other stakeholders, is for everyone to gain an extra hour of free time every day. Innovation clusters: Understanding life cycles is a report published by The Economist Intelligence Unit. 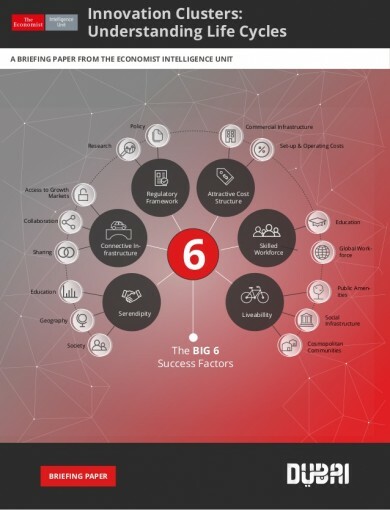 It focuses on the life cycles of five innovation clusters and the possible factors that determine their success. The report is based on desk research and expert interviews, referring to five case studies sited at Silicon Roundabout (UK), Bangalore (India), Boulder (United States), Singapore, and Estonia. 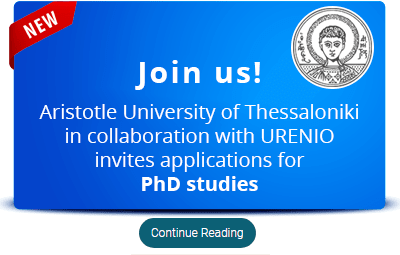 INNOSEE, a Leonardo Da Vinci project produced an e-learning platform for training on Research Driven Clusters (RDC) which is accessible from the project website. 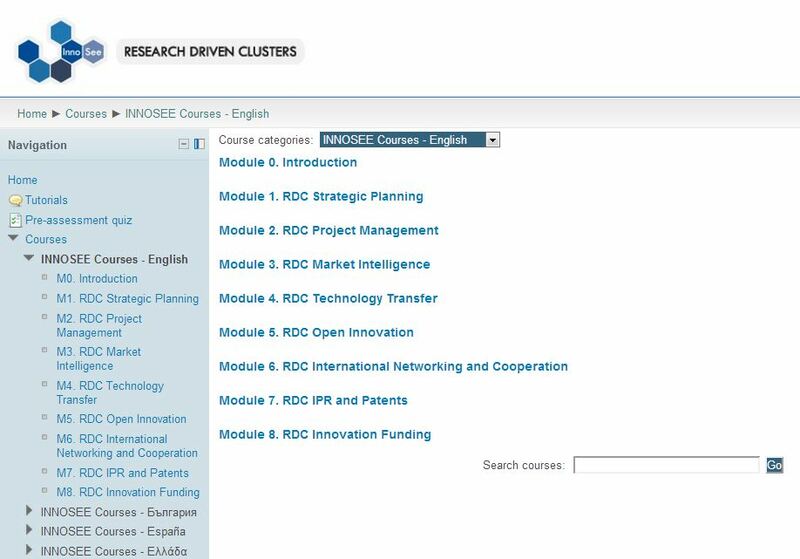 RDCs training is required in all the stages of cluster development, emergence, set-up, growth, sustainability, and adaptation. To foster economic growth, innovation clusters need to draw on the power of an interrelated “quad” of sectors: public, private, civil, and academic, according to an article published in the latest issue of strategy+business magazine by Ernest J. Wilson III. 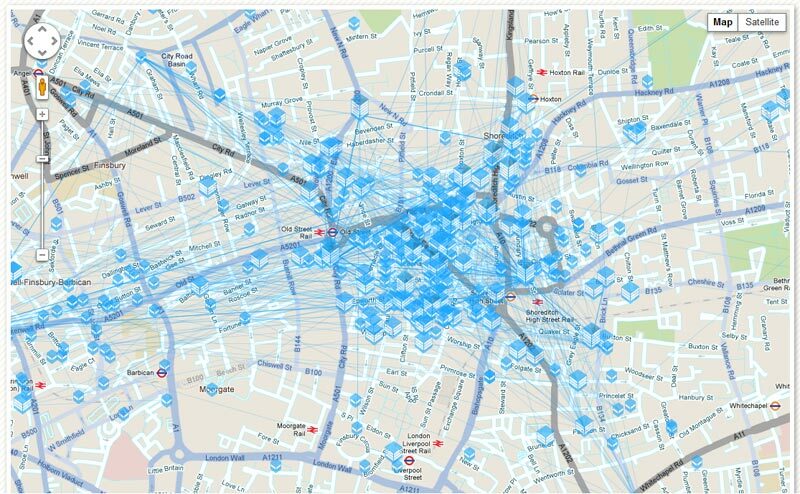 The London Tech City Map, developed by Trampoline Systems and Playgen, analyses the technological ecosystem in East London by aggregating social network feeds for up to 10,000 people. The prototype includes 80 businesses and already generates analysis on the relative influence of each one and link them by the similarity of their interests.